This month has been quite hot in many parts of Australia. It’s not been too bad here where temperatures usually did not go over 34°C (93°F), but in other parts of Australia it has been quite unbearable. Sydney got to a maximum of 45.8°C (114.4) on 18 January. One night there it was still 35°C (95°) at midnight and hundreds crowded Bondi beach at night to stay cool. Even though temperatures were much lower here I was surprised at how hot some things outside got that were in direct sunlight. All the photos below where taken using my infrared thermometer that I used in the previous post about interesting temperatures. 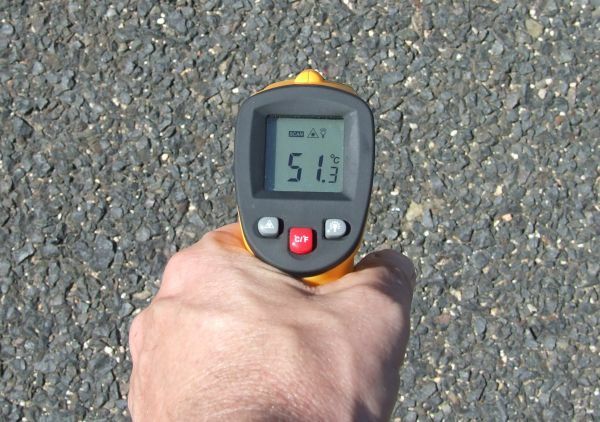 The temperature of the road in front of our house was around 50C. 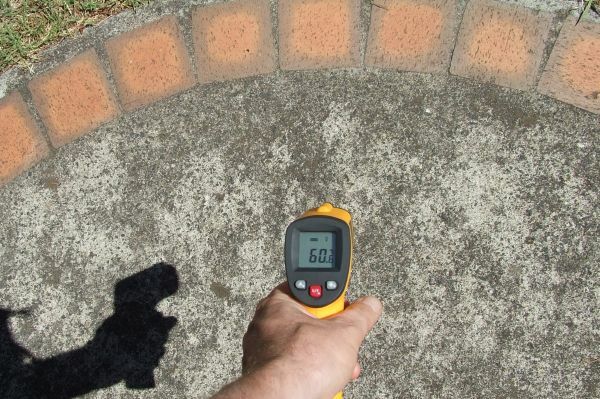 The temperature of the concrete path at the back of our house was around 60°C (140°F). I didn’t expect it to be warmer than the road as it is not as dark and I expected that it would reflect more heat, but perhaps it gets some reflected heat of the rear of the house. 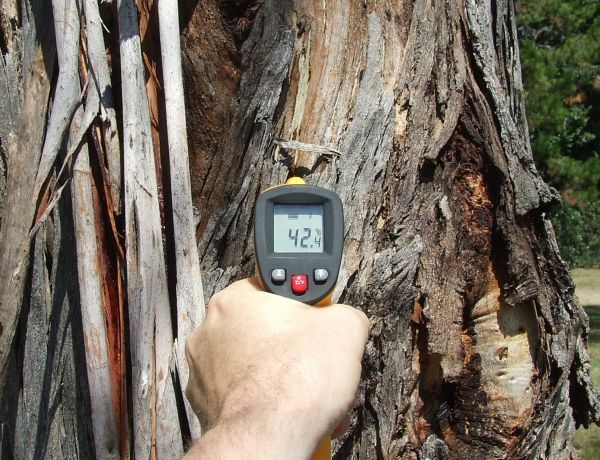 The bark on this tree was 42°C (107°F). Not that much higher than the surrounding air. I assume the dark bark absorbed the heat . 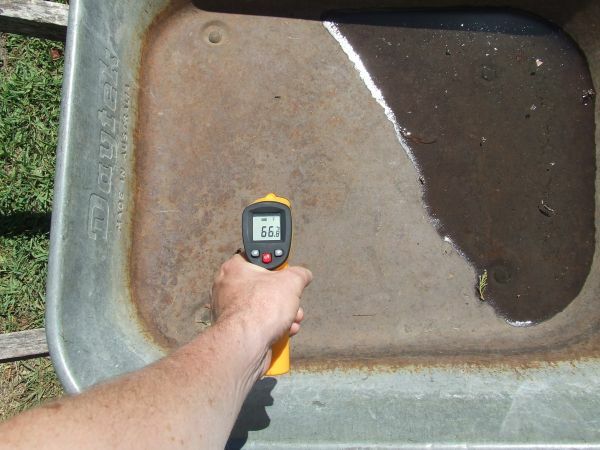 The temperature of the bottom of our wheelbarrow was very hot at 66°C (151°F). I expected the water in the corner may have kept the temperature lower, but not so. 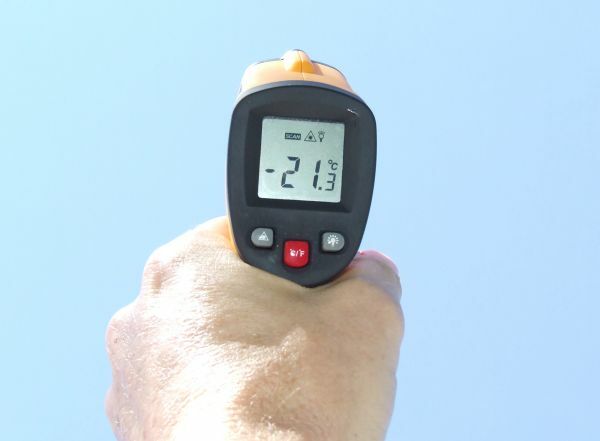 Posted on January 28, 2013, in Science and tagged Australia, hot, Infrared thermometer, Temperature, Thermometer, weather. Bookmark the permalink. Comments Off on Surprisingly hot temperatures.